Distinguished Professor Sang Yup Lee from the Department of Chemical and Biomolecular Engineering was honored to be the laureate of the 23rd NAEK Award. The NAEK (National Academy of Engineering of Korea) Award was instituted in 1997 to honor and recognize engineers who have made significant contributions to the development of the engineering and technology field at universities, industries, and institutions. Every year, it is conferred to only one person who has achieved original and world-leading research that has led to national development. Distinguished Professor Lee is a pioneering scholar of the field of systems metabolic engineering and he was recognized for his significant achievements in the biochemical industry by developing novel microbial bioprocesses. In particular, he is globally renowned for biological plastic synthesis, making or decomposing polymers with microorganisms instead of using fossil resources. He has produced numerous high-quality research breakthroughs in metabolic and systems engineering. In 2016, he produced an easily degradable plastic with Escherichia coli (E. coli). In 2018, he successfully produced aromatic polyesters, the main material for PET (poly ethylene terephthalate) from E. coli strains. He also identified microorganism structures for PET degradation and improved its degradability with a novel variant. 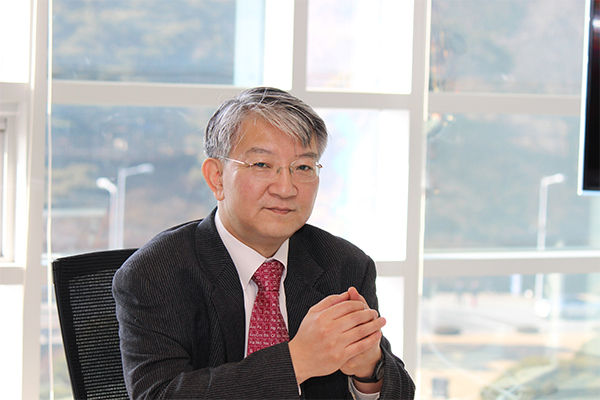 His research was ranked number one in the research and development division of Top Ten Science and Technology News 2018 announced by Korean Federation of Science & Technology Societies. He is one of highly cited researchers (HCR) ranked in the top 1% by citations for their field by the Clarivate Analytics.